1) Skyline (Sammamish) QB Max Browne (6’5, 210) – Widely regarded as one of the top junior signal-callers in the country. Has multiple BCS offers already. In two years as the starter for the Spartans, Browne has completed nearly 68% of his passes for over 6,500 yards with 75 touchdowns and only 20 interception while leading his team to two-straight state championship games and one state championship. 2) Bellevue LB Sean Constantine (6’3, 225) – Could be a stud on either side of the ball, but projects better on defense. When he “pulls the trigger” he gets to the ball in a hurry and he’s a physical presence inside. He uses his hands well and is a suer-tackler. He has great instincts, but because he’s nearly 6’3” tall, he could easily grow into a very good defensive end prospect. Totaled over 75 tackles this season. 3) Mead (Spokane) DE Danny Mattingly (6’4, 210) – Named Defensive Player of the Year in the Greater Spokane League as a junior after totaling 65 tackles and 10 sacks for the Panthers this past season. Older brother, Andy, played linebacker/defensive end at Washington State. Talented kid with a great motor. Needs to get stronger and put on some more size, but the instincts and talent are there. 4) Lakes (Lakewood) WR Sammie Long (6’4, 190) – Because there are so many talented prospects at Lakes, Long didn’t get the chance to put up big numbers, but he had a solid junior season in 2011, hauling in 20 receptions for 266 yards and five touchdowns and should be one of the top wideout prospects in the state next year. He already has an offer from Washington and is getting attention from several other Pac 12 programs. 5) Lynnwood OL/DL Andrew Basham (6’5, 295) – From a size and athleticism standpoint, Basham has exactly what you are looking for in a prospect, on either side of the line. He can run a sub-5.0 forty, he’s athletic enough to play linebacker at his size and he’s got a good motor. The only question mark will be his technique and how he improves in the coming months. Basham is already hearing form several Pac 12 schools including Washington and Washington State. 6) Tumwater (Lacey) OL/DL Jamie Bryant (6’6. 285) – Bryant is an outstanding athlete and very intriguing. He didn’t have a great junior season, so his value will have to be assessed this offseason as college coaches come in and get a good look at him. Bryant has a great motor and his work-ethic is reportedly good, but he needs to get stronger and add more muscle to his frame. 7) Capital (Olympia) RB Kai Vansickle (6’0, 190) – Vansickle was a warrior for Capital this season and rushed for nearly 2,000 yards even though every defense he faced keyed on him. Vansickle rarely goes down at first contact and he has a nose for the endzone, evidenced by his 21 scores this season. He is also a stud on the defensive side of the ball and could end up being a very good safety at the next level as well. 8) Bellarmine Prep (Tacoma) QB Sefo Liufau (6’4, 210) – From a productivity standpoint, Liufau has done it all and this past summer he worked very hard on his mechanics which showed this season. Liufau isn’t a big-time athlete, but he’s got enough skill to move around in the pocket and his arm-strength has improved enough so that he can hit plays deep on almost anyone. Schools from up and down the west coast have been in contact with the talented junior. 9) Skyline (Sammamish) LB Peyton Pelluer (6’1, 235) – Pelluer is an old-school, run-stuffing middle linebacker, able to take on blockers and use his hands to shed and then make the tackle. Pelluer also improved his flexibility this past summer so he was much better in pass-coverage as well. As a two-year starter, Pelluer has notched nearly 300 tackles and has been named a First-Team All-League player. 10) Inglemoor (Kenmore) OL/DL Titus Makasini (6’5, 275) – Talented two-way lineman that earned Lineman of the Year honors in the Kingco 4A League which is one of the top leagues in the state. Probably projects better along the offensive line, but he could be successful on either side of the ball. 11) O’Dea (Seattle) RB Tatum Taylor (5’10, 160) – Needs to put on weight and get stronger, but there is no doubting Taylor has the speed and elusiveness to a be a good one at the next level. Taylor is also a skilled DB and could wind up on the side of the ball as well. 12) Bellarmine Prep (Tacoma) RB Isaiah Flynn (6’0, 200) – As a sophomore, Flynn rushed for over 1,000 yards and as a junior he eclipsed that total even though he only played in eight games for the Lions. Flynn is a very good inside runner, but he’s got just enough burst to get outside and be trouble on the edge for defenses. 13) Newport (Bellevue) ATH Isaac Dotson (6’2, 205) – Reminds me a lot of former Kennedy QB/S Jason Thompson. Athletic and plays with intensity. Doesn’t have a lot of help around him so his numbers aren’t big, but he’s definitely a talented player. 14) Mt. Vernon QB Bennett Gibson (6’2, 210) – Gibson really burst onto the scene this season by throwing for nearly 2,500 yards and 27 touchdowns while leading his team to the district playoffs. 15) Eisenhower (Yakima) Kolney Cassel (6’4, 205) – Cassel put up huge numbers in the CBBN this past season completing over 65% of his passes for 2, 664 yards, 27 touchdowns and only nine interceptions. Cassel is a pure pocket passer, but he does have enough athleticism to move around and make plays with his legs as well. 16) Graham-Kapowsin DB Kahlil Dawson (5’9, 170) – A speedster with great quickness and a nose for the ball. Dawson earned All-SPSL honors this season and has good enough hands to be a threat on the offensive side of the ball as well. 17) Mount Si (Snoqualmie) K/P Cameron Vanwinkle (5’11, 180) – Likely to be one of the top kickers on the west coast in 2012, Vanwinkle has a leg that can hit from as nearly 60 yards out and he’s got outstanding accuracy as well. Vanwinkle is already getting attention from Washington as well as Oregon State and some Big 12 and SEC schools. 18) Auburn LB/DE Kevin Shelton (6’3, 230) – Shelton’s older brother, Danny, started as a freshman for the Washington Huskies this past season, so Kevin comes from great bloodlines. Shelton has a nose for the ball and has great instincts. Like his brother, Shelton doesn’t seem to go hard on every down, but some of that could be that teams ran away from him most of the time. 19) Skyview (Vancouver) WR Rieley Henderson (5’10, 180) – Plays much bigger than his size would indicate. Henderson was the best receiver on an explosive offense that led the Storm to the state championship game. As a junior, Henderson posted 57 receptions for 901 yards and nine touchdowns and also had over 40 tackles and three interceptions on defense. 20) Bellarmine Prep (Tacoma) WR/S Calvin Chandler (6’2, 195) – Chandler is a two-way star for the Lions and could see his stock rise this spring and summer with good performances on the camp circuit. Chandler’s father Jeff played football for Washington back in the 80s and he’s got the instincts and abilities to a playmaker at the next level. 21) Timberline (Lacey) DE Sebastian Mikaele (6’4, 240) – Talented line prospect who has a chance to move up on recruiting boards in the coming months. 22) Ferris (Spokane) TE Damon Unland (6’1, 230) – Unland can block and has soft hands. Received First Team All-GSL honors as a junior. 23) Edmonds-Woodway RB Desmond Young (5’11, 190) – Young had a great season for EW in 2011, racking up over 1,400 yards and 19 touchdowns while earning First Team All-Wesco honors. 24) Skyview (Vancouver) WR Forrest Russell (5’7, 145) – Outstanding hands and plays bigger than his size. Next year will be telling for Russell as he will have a new quarterback throwing the ball his way. 25) Bothell OL Chase Madsen (6’4, 257) – Talented interior offensive line prospect who could play center or guard. Smart and uses leverage well. 26) Federal Way LB Roderick Jones (6’1, 215) – Plays outside for Federal Way and has very good speed. Needs to get bigger and stronger. 27) Curtis OL Zach Budnick (6’3, 260) – Great technique and plays with a chip on his shoulder. 28) Gonzaga Prep (Spokane) RB Griffin Hare (6’0, 180) – Very quick and runs well inside or outside. 29) Federal Way DB D’Londo Tucker (5’11, 185) – Impressive looking athlete with the talent to play at the next level. 30) Bellevue LB/FB Myles Jack (6’2, 215) – Jack is just a straight-up athlete. He can play on either side of ball and he’s got great instincts. A player who should really climb up this list in the coming months. 31) Auburn DE/LB Demontra McNealy (6’2, 215) – Great athlete who uses his hands well and makes plays in the backfield. Needs to hit the camp circuit this summer to show schools what he can do. 32) Wenatchee OL Cody O’Connell (6’8, 300) – Runs well and has good agility for a young man his size. 33) Juanita (Kirkland) LB/FB Darrin Laufasa (6’2, 225) – Laufasa comes from a great football family and he’s got great size and athleticism. He needs to stay healthy so he can show what he can really do. 34) Inglemoor (Kenmore) DL Michael Tupou (6’3, 225) – Has the size and athleticism to be a prospect on either side of the ball. 35) Kennedy (Burien) OL/DL Desmound Thompson (6’5, 285) – Thompson has all of the size and athleticism necessary to be a prospect that D-1 schools are after. However, he is very raw and will need to show his potential this offseason. 36) Lakes (Lakewood) WR Marquin Russell (6’1, 175) – Russell has the speed to get deep, but needs to get stronger this offseason. He has the skill to play D-1 football. 37) Oak Harbor OL Dayne Herron (6’5, 275) – Has long arms and good feet. Needs to work on technique, but has what you are looking for in an offensive lineman at the next level. 38) Bremerton LB Andrew Shadle (6’0, 200) – Shadle has been a star on both sides of the ball for the Knights the past two seasons and there’s no reason to think he won’t be yet again as a senior. Shadle needs to dedicate himself to football in order to maximize his potential, but he has the size, speed, athleticism and instincts to be a great player at the collegiate level. 39) Rainier Beach (Seattle) OL Leo Pili-Vaka (6’7, 360) – Huge prospect who needs to lose some weight, but he improved a ton from his sophomore season and it will be interesting to see how he develops over the next few months. 40) Mt. Tahoma (Tacoma) LB Snydrek D’Sia (6’0, 225) – D’Sia has a nose for the ball and is very athletic. 41) Mead (Spokane) RB Davian Barlow (6’0, 175) – Strong runner for the Panthers who makes most of his plays in-between the tackles. 42) Auburn Mountainview QB Domenic Rockey (6’1, 180) – Accurate QB prospect who put up some amazing stats this year — 187 of 332 (56.3%) for 2,163 yards, 15 touchdowns and 13 interceptions. 43) Bellevue OL Nathan Santa (6’3, 240) – Plays for one of the top programs in the state. Shows good blocking technique and is able to drive his man off the ball. 44) Issaquah OL Kevin Ahrens (6’4, 250) – Issaquah always produces big offensive linemen and Ahrens is the next in a long line of them. Upside is high for this player. 45) Hazen (Renton) DL Cody Moorhead (6’4, 235) – Strong at the point of attack. Has a chance to make a name for himself this spring and summer. 46) Capital DB Derek Chase (6’1, 190) – Earned First Team All-Narrows honors with a big junior season. Has athleticism and range. 47) O’Dea DB Jack Oman (6’0, 200) – Oman led the Irish in tackles this season and is physical at the point of attack. 48) Curtis (Tacoma) OL Chris Coffin (6’3, 265) – Great drive-blocker who has good feet. 49) Edmonds-Woodway DB Matt Cuzzetto (5’9, 165) – Breaks on the ball well and is surprisingly physical in run-support. 50) Meadowdale (Lynnwood) ATH Giavani Shepard (5’8, 175) – Projects well on either side of the ball, but plays a very physical brand of defense and loves contact. 51) Seattle Prep DB Tere Calloway (5’10, 180) – Explosive on both sides of the ball, Calloway has put on some size since we first saw him back when he was a sophomore and looks poised to be a player to watch in the coming months. Has outstanding quickness and vision and is quick in and out of his cuts. Could be a star on either side of the ball at the next level. 52) West Valley (Yakima) DL Robert Koch (6’3, 225) – Named First Team All-Big Nine as a junior. Plays the run well and has a great motor. 53) Liberty (Renton) OL Kevin Ahrens (6’4, 250) – Strong and drives really well with his lower-body. Received All-Kingco 3A honors on both sides of the ball for the Patriots this season. 54) Lakes (Lakewood) LB Dre Milton (5’10, 215) – Flies to the ball and makes plays all over the field. Is a bit undersized, but has great instincts. Second Team All-SPSL 3A after a solid junior campaign that saw him post 45 tackles and two interceptions. 55) Lake Stevens DB Andrew Elgaen (5’11, 185) – Instinctive player who packs a wallop when he arrives. Forced five fumbles this season and posted over 70 tackles from his ‘Rover’ spot in 2011. 56) Skyview (Vancouver) LB Jabari Marshall (6’2, 190) – Named First Team All-GSHL as a junior after posting over 60 tackles and four sacks as a junior in 2011. Quick and plays with good leverage. 57) Hanford OL Joe Douglas (6’4, 240) – Unanimous First Team All-Big Nine as a junior. Drives off the ball well and has good feet. Needs to work on technique, but he has a very good future. 58) Mead (Spokane) DL Langston Ward (6’3, 240) – Named First Team All-GSL this year after totaling 50 tackles and 5 sacks for the Panthers playing opposite Danny Mattingly. Has a quick first step and loves to get after the quarterback. 59) Rogers (Spokane) RB Luke Rogers (5’9, 185) – Promising junior runner who has great quickness and vision. 60) Auburn Mountainview DL Nick Aumua (6’2, 235) – Physical and tough at the point of attack. Named All-SPSL for his efforts as a junior in 2011. 61) Capital (Olympia) DL Matt Cox (6’6, 240) – Cox is a big, agile athlete who loves to play the game. He runs well and was named First Team All-Narrows league after racking up 54 tackles and seven sacks. 62) Lindbergh (Renton) QB Matt Stuart (6’6, 235) – Stuart has started since his freshman season and has led the Eagles to post-season play every year. He is athletic for a young man his size, but he needs to get tougher and make better decisions. 63) Skyline (Sammamish) WR/DB Nic Sblendorio (6’0, 185) – Big contributor on both sides of the ball for the Spartans this season, but will likely need to find his way onto a college roster as a defensive back. 64) Kennedy (Burien) DL Cole Madison (6’4, 235) – Madison is athletic enough to be a prospect as either a tight end or defensive end, but his future appears to lie on the defensive side where he is tough to move off the line, but he also has enough agility to get after the quarterback a little bit. Named First Team All-Seamount League on both sides of the ball. 65) Capital (Olympia) DB Tad Maiava (5’8, 170) – Solid looking defensive back prospect who has a nose for the ball. Posted 58 tackles and four interceptions and earned First Team All-Narrows League honors in 2011. 66) Bellarmine Prep (Tacoma) OL Kevin Kors (6’0, 285) – Road-grader who drives his man off the ball and earned First Team All-Narrows League honors this season. 67) Kings (Seattle) QB Billy Green (6’2, 175) – Looked great leading the Knights to a 9-3 record this season, throwing for 2,297 yards, 38 touchdowns and 11 interceptiosn while completing nearly 66% of his passes. He also rushed for 157 yards and two more scores. Green is still growing and adding bulk to his frame and his arm is above-average. 68) Lakewood (Marysville) ATH Justin Peterson (5’11, 185) – Peterson can play a myriad of positions and did just that for the Cougars this season, lining up at quarterback, in the slot, outside at wide receiver and he also played safety and corner, rarely leaving the field. Peterson is an underrated athlete who could find a home in the secondary or at wide receiver at the next level. 69) Seattle Prep RB Charlie Brennan (5’9, 200) – Whereas teammate Tere Calloway is the outside guy, Brennan pounds defenses in-between the tackles. While he’s a bruiser, Brennan does have good vision and he can make people miss in the open field and this season he earned First Team All-Metro honors for his efforts. 70) Bothell DL/TE Jeremy Ruef (6’2, 215) – Ruef is a stud on both sides of the ball for Bothell this past season. He runs well and he’s got a great motor. 71) Mount Si (Snoqualmie) DB Hunter Malberg (6-0, 180) – Is a ballhawk who is always around the ball. Has great instincts and underrated speed. 72) Sunnyside DB Joey Contreras (5’8, 165) – Contreras plays bigger than his size would indicate. He’s physical against the run and received First Team All-Big Nine honors this season for his efforts. 73) Skyline (Sammamish) WR Matt Sinatro (5’10, 150) – Agile and smart, Sinatro can find the soft spots in zones and has great hands. This season he totaled 39 tackles, 544 yards and four touchdowns. 74) Bellevue OL Nick Santa (6’3, 225) – Probably was one of the top lineman on the Bellevue squad this past season. Athletic and has the frame to add some size. 75) Puyallup QB Rhys Gervais (6’2, 200) – Coach’s son who has a very high Football I.Q. and helped lead the Vikings to the District Playoffs in 2011. 76) Woodinville DL Colter Clinch (6’3, 220) – Tough, physical line prospect who will be looked at to be a leader up front for the Falcons in 2012. As a junior in 2011, Clinch received First Team All-Kingco Crest Division after helping his team to the state 4A semi-finals. 77) Skyview (Vancouver) OL Zach Wallace (6’4, 305) – Big, physical road-grader who mauls his opponents. Has gotten better technically since his sophomore season and earned First Team All-GSHL 4A honors after his junior season. 78) Kentridge (Kent) OL Tyler Bailey (6’3, 245) – Athletic lineman who needs to get stronger, but has what it takes to play at the next level. 79) Graham-Kapowsin DL Ulu Porter (6’1, 210) – Great athlete who pursues well. Could play linebacker if he doesn’t get big enough, but needs to work on his footwork and agility. 80) Capital (Olympia) TE Baylor Hahn (6’4, 240) – Great in-line blocker and has good hands as well. First Team All-Narrows League selection in 2011. 81) Kings (Seattle) Mason Friedline (6-5, 272) – Athletic line prospect who dominates his opponent. 82) Bothell RB Danny Wilson (6’0, 181) – Productive tailback who has good vision and enough speed to run away from people in the open field. 83) Spanaway Lake DL Alex young-Salanoa (6-0, 250) – Holds strong at the point of attack and has a great motor. 84) Hanford DB Jake Oram (6-0, 180) – Oram received First Team All-Big Nine for his efforts as a junior. He can cover out of the slot and he’s a ballhawk when the ball is in the air. 85) Auburn Riverside OL Joe Miles (6-4, 265) – Big and physical. Earned All-SPSL this season as a junior in 2011. 86) Curtis (University Place) RB E.J. Deveaux (5-10, 175) – Solid runner who was named First Team All-SPSL on both sides of the ball this past season. 87) Mead (Spokane) OL Dane Crater (6-1, 225) – Gritty offensive lineman who received First Team All-GSL honors in 2011. 88) Bothell OL Nick Ombrellaro (6-3, 258) – Started as a junior and earned First Team All-Kingco Crown Division honors. 89) Kamiak (Mukilteo) DB Tryi Bethea (5-10, 170) – First Team All-Wesco 4A in 2011. 90) South Kitsap (Port Orchard) OL Austin Kanouse (6-3, 265) – First Team All-Narrows 4A in 2011. 91) Prairie (Vancouver) Colton Prestwich (6-1, 170) – First Team All-GSHL 3A in 2011. 92) O’Dea (Seattle) Bryan Carter (6-4, 220) – Second Team All-Metro in 2011. 93) Eastside Catholic (Sammamish) DL David Hurdle (6-1, 210) – First Team All-Metro in 2011. 94) Eastside Catholic (Sammamish) Trey Reynolds (6-1, 180) – First Team All-Metro in 2011. 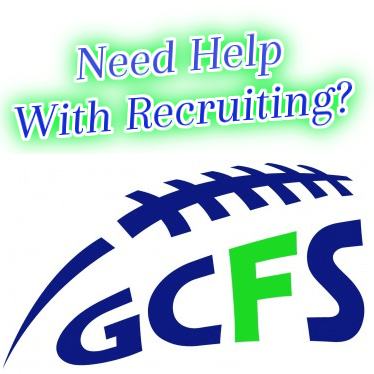 95) Peninsula (Gig Harbor) TE Kyle Self (6-4, 222) – Great blocker and athletic. Second Team All-SPSL in 2011. 96) Camas (Vancouver) P Roldan Alcobendas (5-11, 150) – Solid punting prospect. First Team All-SPSL in 2011. 97) Bothell OL Dylan Lindsey (6-3, 291) – Second Team All-Kingco Crown Division in 2011. 98) Sequim DL Andrew Shimer (6-3, 210) – First Team All-Olympic League in 2011. 99) Federal Way OL Albert Havili (6-3, 275) – First Team All-SPSL 4A in 2011. 100) Shelton DL DeShawn Bell (6-2, 235) – First Team All-Narrows 4A in 2011. 101) Woodinville DB Caleb Hamilton (5-11, 180) – First Team All-Kingco 4A in 2011. 102) Issaquah OL Jake Volk (6-1, 235) – First Team All-Kingco Crest Division 4A in 2011. 103) Bethel (Spanaway) DB John Thompson (5-9, 175) – First Team All-SPSL 4A in 2011 and also named Defensive Back of the Year. 104) Bellevue RB John Nguyen (5-9, 180) – Second Team All-Kingco 3A in 2011. 105) Bellevue DL Darien Freeman (6-0, 270) – Run-stuffer inside who occupies blockers. First Team All-Kingco 3A in 2011. 106) Mercer Island DL Zack Bucklin (6-3, 220) – Second Team All-Kingco 3A in 2011. 107) Washington (Tacoma) OL Diamond Pedro (6-4, 305) – First Team All-SPSL 2A in 2011. 108) Marysville-Pilchuck OL Iggy Gabov (6-2, 240) – First Team All-Wesco North 4A in 2011. 109) Eastside Catholic LB Brian Cox (6-1, 210) – Second Team All-Metro 3A in 2011. 110) Walla Walla DL Jeremy Larson (5-11, 260) – Earned Second Team All-Big Nine as a junior in 2011. 111) Eisenhower (Yakima) LB Jacob Martinez (6-1, 205) – Second Team All-Big Nine in 2011. 112) Kings (Seattle) WR Caleb Taylor (6-1, 180) – First Team All-League in 2011. 113) Battle Ground Trevor Ingram (6-0, 160) – Second Team All-GSHL 4A in 2011. 114) Bishop Blanchet (Seattle) DL Andre Lino (6-4, 250) – First Team All-Metro in 2011. 115) Enumclaw WR Bryson Grant (5-11, 180) – Good return man. Named Second Team All-SPSL 3A as a returner in 2011. 116) Columbia River (Vancouver) RB Remick Kawawaki (5-9, 170) – First Team All-GSHL 3A in 2011. 117) Bonney Lake QB Chris Brown (6-1, 190) – Put up big numbers in 2011. First Team All-SPSL 3A in 2011. 118) Kentwood (Kent) LB Chase Kalua-Fuiamono (5-11, 205) – Second Team All-SPSL 4A in 2011. 119) Kentridge (Kent) RB Jimmie Davis (5-11, 180) – Second Team All-SPSL 4A in 2011. 120) Archbishop Murphy RB Alex Galgano (5-11, 190) – First Team All-Cascade Conference in 2011. 121) Cleveland (Seattle) OL Khalid Mohamed (6-6, 290) – Named First Team All-Metro in 2011. 122) Hazen (Renton) DL Cody Moorhead (6-4, 260) – First Team All-Seamount League in 2011 and was named the Defensive Lineman of the Year. 123) Garfield (Seattle) WR Jamala Myres (6-2, 195) – Second Team All-Kingco 4A Crown Division in 2011. 124) Roosevelt (Seattle) OL Marquel Stoudamire (6-3, 240) – Second Team All-Kingco 4A Crown Division in 2011. 125) Bothell WR Aaron Wilks (6-4, 195) – Second Team All-Kingco 4A Crown Division in 2011. 126) Cleveland (Seattle) DL Raveon Hoston (6-2, 220) – Second Team All-Metro in 2011. 127) Hazen (Renton) OL Tyler Wicks (6-3, 270) – Second Team All-Seamount in 2011. 128) Ingraham (Seattle) RB Quante Cox (5-9, 170) – Second Team All-Metro in 2011. 129) Eastside Catholic (Sammamish) OL Joey Symmons (6-3, 235) – Second Team All-Metro in 2011. 130) Central Valley (Spokane) K/P Austin Rehkow (6-1, 193) – Named First Team All-GSL as a kicker in 2011 and also earned Honorable Mention All-GSL as a punter as well. 131) Bellevue TE/DE Nathan Derider (6-1, 210) – Second Team All-Kingco 3A in 2011. 132) Juanita (Kirkland) DB Kendrick Murphy (5-11, 160) – Started as a DB for Juanita in 2011 and was given top punt-returner honors in the Kingco 3A in 2011. 133) Olympia TE Alex Johnson (6-4, 205) – Earned Second Team All-Narrows as a junior in 2011. 134) Rogers (Spokane) DB Anthony Hampton (5-10, 170) – Honorable Mention All-GSL in 2011. 135) Gonzaga Prep (Spokane) DB Joe Lenoue (5-10, 180) – Honorable Mention All-GSL in 2011. 136) Kamiakin (Kennewick) DB K Perrins (6-0, 170) – Honorable Mention All-Big Nine in 2011. 137) Rogers (Puyallup) DB Stefan Van Horn (6-1, 180) – Second Team All-SPSL 4A in 2011. 138) Roosevelt (Seattle) LB Tate Maider (6-1, 210) – Second Team All-Metro in 2011. 139) Mount Si (Snoqualmie) TE Griffin McLain (6-4, 235) – First Team All-Kingco 3A in 2011. 140) Bonney Lake WR Kaleb Zahnow (6-0, 170) – Second Team All-SPSL 3A in 2011.